I attended a briefing by Leonard Weinglass (he of the Daniel Ellsberg/Pentagon Papers fame, of the Amy Carter tribulations, and other famous efforts to achieve justice against at times huge odds) at Howard University's Law School on Wednesday, 12 September. I was stunned by what counselor Weinglass revealed. As a military officer for 31 years, I occasionally encountered Cuba. In exercises, I recall vividly that when we wargamed "the Cuba scenario" what happened was that the U.S. Navy, the FBI, the Florida State Police, the Coast Guard, and a host of other folks got involved not in invading Cuba, but in preventing a group of Cuban-Americans in Florida from doing so. I might add that such actions violated U.S. law and so, in the exercises—which were in my view very realistic—we spent our time attempting to stop several hundred small boats, loaded with automatic weapons, explosives, and lots of Cuban-Americans, from getting to Cuba. So, I was acquainted with some of the vagaries of U.S. Cuba policy. At Howard University last week, I learned the truth about yet another vagary—"The Cuban Five." Here's a quick backgrounder. When these five Cubans began reporting back to Havana about what they were discovering in Florida, the picture became very clear. In short, Cuban authorities were convinced that their country did indeed have much to worry about. So, in Havana the thought was, let's give this evidence our five "spies" have gathered to the U.S. FBI. Surely, the FBI will then understand what the U.S. military already understands, i.e., the threat to peace in the Straits of Florida is in Florida not in Cuba. And so Havana did just that. It gave to the FBI the evidence its five men had gathered in southern Florida. What did the FBI do? Well, here is the crux of the matter. The FBI turned the evidence over to the U.S. Government and it, in turn, used the evidence not to investigate and, if necessary, arrest and prosecute the law-breaking Cuban-Americans and their supporters in southern Florida, but to arrest and eventually imprison for life the five men who "spied" on these fine, loyal Floridians. But on appeal, in a decision by three of the judges of the 11th Circuit Court of Appeals, the trial's results were thrown out—as of course they should have been on the denial of the change of venue motion alone. The Five returned to Cuba and their families, right? No, because in a full meeting of the 11th Circuit Court with all 12 members present, the ruling of the three members was reversed and The Five went back to jail, where they have been now for nine years. The case is being reviewed yet again even as I write. That is one of the reasons that Leonard Weinglass gave the briefing at Howard University that I attended. He wanted to inform us of this apparently egregious miscarriage of justice and solicit our support in getting the decision reversed. If the facts are as counselor Weinglass reported, it is hard to believe that this case ever happened in the first place—unless, of course, one contemplates the real power of this group of Cuban-Americans in Florida and the hold they exercise over the U.S. Government. But this case sort of takes the cake: to punish with life sentences men who came here to determine how and when their country was going to be attacked by people breaking U.S. law. These men were unarmed, not intent on any physical damage to the United States, and were motivated to protect their fellow citizens from invasion and repeated attacks by Cuban-Americans living in Florida. And we have to ask also, just how is it that we have become a safe haven for alleged terrorists? How is it that we—the United States of America—may rate a place on our own list of states that sponsor terrorism? If the facts are as counselor Weinglass reported, this case is truly the bottom of the pit. I had great trouble believing it, but I had nothing with which to refute Mr. Weinglass' superbly delivered presentation. But more than that was my four years inside the Bush Administration. You see, I know the depths to which our government is capable of sinking. Torture. Lies. False intelligence. Tyranny. Is the continued failure to resolve fairly this case against the Cuban Five, even though it began in the second Clinton administration, really so unbelievable when cast against the characters of the current administration? Talk to your congressman or woman, please. This is a travesty. And, by the way, if you can disprove any of what Mr. Weinglass contends, fire away. America has many disastrous actions chalked up to its discredit at the moment, so to be disabused of one of such heavy import would be a gift from the gods. The Havana Note is a group blog covering various corners of the cultural, political, military and economic dimensions of US-Cuba relations. The US-Cuba field has one big dividing line down the middle making it nearly oxymoronic to talk about "US-Cuba relations" -- except as a relationship where two parties closely related historically, culturally, and geographically nonetheless have archaic, Cold War-fashioned rules of engagement with each other. This site will provide researchers and journalists who travel to Cuba an outlet to disseminate information and perspectives learned while there. The Havana Note, which will be regularly featured on The Washington Note, will probe the current state of US-Cuba policy and whether political realities justify revising America's approach to the eleven million person island-nation. The Havana Note is a project of the "21st Century US-Cuba Policy Initiative" based at the New America Foundation/American Strategy Program. 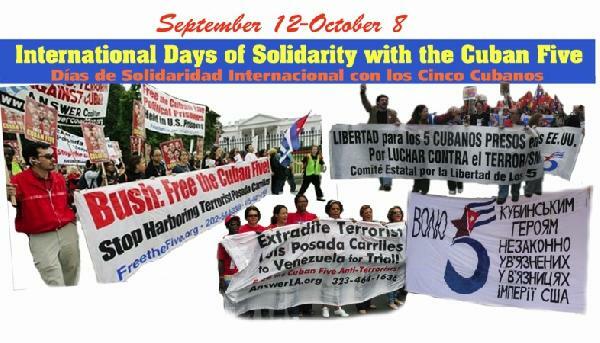 The initiative’s objective is to take advantage of recent developments in Cuba and the United States to redirect US-Cuba policy and relations toward a more sensible, mutually beneficial direction and forge a new consensus of national stakeholders in favor of engagement with Cuba rather than the decades-old, tried and failed strategy of isolating Cuba and its citizens. Lawrence Wilkerson is the Visiting Pamela C. Harriman Professor of Government at the College of William Mary, as well as Professorial Lecturer in the Honors Program at the George Washington University. His last positions in government were as Secretary of State Colin Powell's Chief of Staff (2002-05), Associate Director of the State Department's Policy Planning staff under the directorship of Ambassador Richard N. Haass, and member of that staff responsible for East Asia and the Pacific, political-military and legislative affairs (2001-02). Before serving at the State Department, Wilkerson served 31 years in the U.S. Army, including as Deputy Executive Officer to then-General Colin Powell when he commanded the U.S. Army Forces Command (1989), Special Assistant to General Powell when he was Chairman of the Joint Chiefs of Staff (1989-93), and as Director and Deputy Director of the U.S. Marine Corps War College at Quantico, Virginia (1993-97). Wilkerson retired from active service in 1997 and then worked as an advisor to General Powell.